We suppose that your decision for Pantec refining equipment is very much related to a deep rooting of your business in productivity and an engaged, endless quest for new, outstanding design opportunities for your customers. We absolutely share these values with you and aim to give you the most professional service to support you keeping your leading position in the long term with the best availability and utilization of your Pantec equipment. The decision for the right decoration technology is a quite complex one - same as the decision for an in-line or off-line integration. It depends on web material, design requirements, batch sizes, etc. Our experienced print consultants lead you through this process to find a sustainable solution for you. Most of our customers come with highly demanding decoration requirements, e.g. outstanding embossing, registration precision and special substrates etc. It goes without saying that we provide you with all our machine equipment to test your required job before you go for a Pantec equipment. Pantec machines are high performance refining sys­tems usually operating in-line in printing presses. 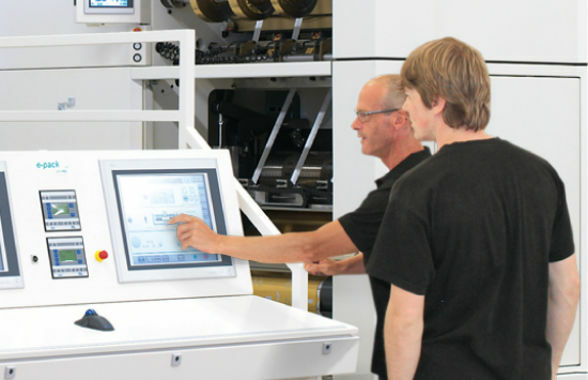 Our engineers are highly experienced to integrate our equipment into your press. Especially the critical part of managing the web control is a core know­ledge of Pantec. We did in-line integrations for many presses and have well tested integration kits available. Ask us for more details on the integrations or let us know your specific requirements - we will offer you the right solution. The Pantec hotline is your major contact point for any technical, machine process and technological issues. Our hotline is open to anybody working with Pantec equipment. 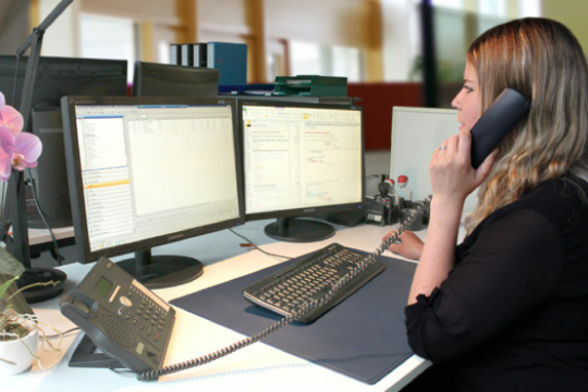 Even if you have not concluded a maintenance contract or your products were not purchased directly from us, our service team will do everything possible to help and to advise you. Our service specialists are available all around the world. Our hotline is open during regular business hours. Concluding a maintenance contract includes a "special phone number", a premium hotline service with extended service hours. Phone: +41 71 5210 808 or get in touch with us on our contact form. We will contact you soon. Many questions can readily be solved from the distance. For this purpose, we offer the PANTEC Online Service (POS). POS is PANTEC’s Internet-based remote diagnosis and remote maintenance service. During the warranty period of your machine POS is free and includes online application and service support. After warranty we provide POS in highly attractive service agreement packages. With these packages you profit from first class system availability and free extended hours support in case of failure. This makes service costs easy to calculate. Our customers are operating worldwide, and so are we. With an international network of service enineers we support you with the following on site services within a reasonable time. Do you need a repair of your machine? 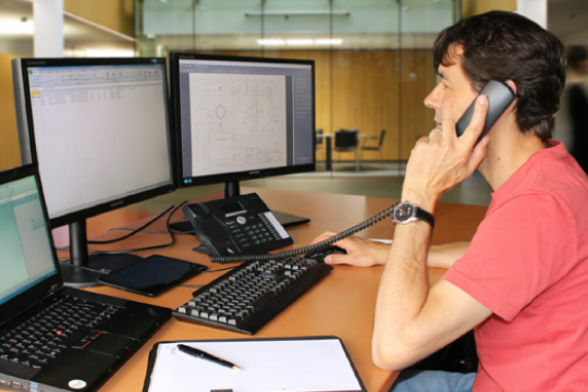 With our network of experienced service specialists we help you quickly and professionally! We inspect your machine, for example, after a long period of downtime or if you are unsure of the condition of your machine and we will determine what’s needed to make your systems more efficient. Owners and operators of the machine must always rely on the reliability of their equipment to fulfill their investment and productions plans. Through regular maintenance and exchange of defined wear parts, you can prolong the life of your machine and reduce unexpected downtimes. Use our preventive maintenance package for a predictable cost of ownership and a maximum machine performance. 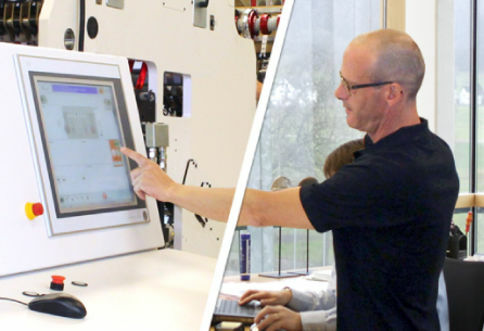 A relocation of your Pantec system always means an administrative, logistical and technical challenge especially if it´s, as usual, integrated into a printing press, consisting of several subsystems of different vendors. For us machine dismantling, shipping administration, reerection and commisioning is daily business. As machine relocation is similar to a new machine delivery we can provide you with practical and economical solutions. In case of necessary on-site services during warranty (as it cannot fixed with POS) the service is free of charge for you (costs for flight, expenses, working hours are beared by Pantec). To ensure a high reliability and an excellent process quality our machines are made out of high quality parts. Generally, the parts are sourced from audited suppliers. All the process critical parts are made by high precision manufacturers in Switzerland. To ensure a reliable operation of your Pantec equipment after changing components we recommend to exchange with original spare parts. This will keep the machine running stable and avoids spreading a problem to other machine parts . If your machine is not working properly due to machine parts we support you fast and reliable - worldwide! With a large central warehouse we assure a fast delivery of original spare parts, for sure with our manufacturer's warranty. For plants where machine downtimes are highly critical we provide on-site spare part storage. You require spare parts? Drop us a note and we will get in touch with you soon. There are many things which can make training necessary and useful. Your operators can change or new customer requirements may need setups your staff never did before or are not sure how to do it. Or you just want to bring your staff to know the latest tips and tricks to get out most of your Pantec equipment. Each of the trainings are accurately planned according to the agreed training targets, resulting in a customized operator training. The trainings can be performed on our machines in Switzerland or on site. Depending on the training targets also remote trainings and webinars can be used as highly efficient and quick available setups for individuals or groups. The trainings are instructed by Pantec engineers who have excellent system knowledge due to their experience in machine setup, process commission them and their constant involvement in performance tests, setup and general operation. Do you want to bring your staff a big step ahead in getting the most out of your Pantec equipment? Please do not hesitate to drop us a note and our Head of Service will contact you back soon. The print market has radically changed in its expectation towards service solutions. In the past, service was just the delivery of spare parts and the availability of a hotline to fix issues with the equipment. Nowadays, the market sees a high pressure on investment to new equipment to keep pace with a fast developing market, therefore a maximum productivity and a full utilization of the abilities of the machine is getting a major target. As a consequence, the range of services is increasing: on-line services, expert training, a wide range of on-site services are must haves for print shops. To provide you with the most requested services at a fixed price which allows to plan for your maintenance and operating cost we defined several service packages. Job setup review with operators and overview of running optimization methods. We are happy to offer you a complete overall service package at ordering time or now, after sales. Ask for details!Ask for details!